Polystyrene is a very strong, durable and inexpensive form of plastic that can be used in many different ways. One of the most common uses of polystyrene is for packaging. It has been proven that this specific material is able to provide excellent protection when goods are delivered from one place to another. If the goods don’t have adequate protection during transport, then clearly they can get damaged and this is why using polystyrene for packaging will save you both time and money. But, how exactly can you pack items with the help of this special plastic? Polystyrene is an excellent internal packaging material. In most cases, people use polystyrene peanuts which represent pieces of enlarged polystyrene which are usually used in empty spaces inside the packages. People often use them for double boxing because they making the product inside the box more stable and prevent vibration and shocks in electrical goods. 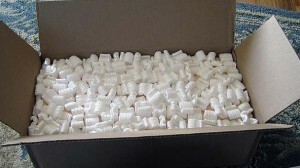 When using polystyrene peanuts and chips, you must be sure that the box is completely filled with this material and that there is no free space. Packing electrical goods with polystyrene blocks or surrounds is a must. When using them for this purpose, just make sure that the polystyrene keeps the product fixed and that the blocks are not damaged when you are packing the product. Polystyrene is a very versatile material used for packaging different items including bicycles, car wheels, car doors, body panels, ceramic and china, computers, musical instruments and many other items. If you want to send an expensive and/or fragile item and you are doing this for the first time, you can always count on polystyrene. Most shippers and couriers use polystyrene to pack the items in the right way and keep them safe. This material is lightweight which means it won’t increase the parcel’s weight significantly and in addition, polystyrene also provides excellent insulation. Packing items with polystyrene is simple and very beneficial and this material is the ideal choice when planning the safe transportation of valuable items. 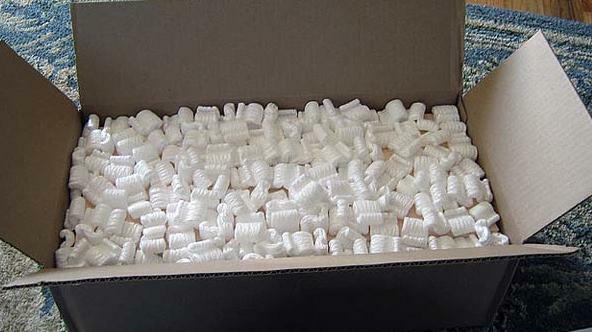 For more advice about polystyrene packaging, please contact us now.